Technopolis established its German office in 2009. Located in the university area of Frankfurt, the team has unique expertise, making it a leader in the provision of innovation policy studies, evaluations and strategic advice. The German team has conducted numerous innovation policy studies. They focus on the framework conditions of innovation. The team has carried out numerous evaluations of research and innovation (R&I) programmes in Germany and Europe such as the High Tech Strategy. It was selected to examine the performance of science centres and to provide formative evaluation services to several R&I projects. Policymakers have called on the consultants of technopolis to provide strategic advice as they develop new policies or establish new policy instruments. The German office has worked for example, for governmental institutions seeking advice for new funding requirements as well as public financial institutions developing new ways to support innovative companies. Their wide-ranging methodological expertise combines thorough analysis with qualitative research methods such as foresight, scenario building, and other creative techniques, as well as quantitative analysis, for example micro-econometric modelling. The team of technopolis has wide experience with interviewing and advanced desk research techniques, as well as with the moderation of workshops, focus groups and panel discussions. They are regularly invited as speakers and guest lecturers. While the majority of clients are German institutions, including the Federal Ministry for Economic Affairs and Energy (BMWi) as well as the Federal Ministry of Education and Research (BMBF), the team also has considerable experience and maintains long-standing relationships with international organisations such as the European Commission. In addition the team provides consultancy services to policy programme management organisations and foundations. Patries Boekholt serves as the Director of the German office and Thomas Heimer the Scientific Head. Born in Frankfurt am Main in 1960. “Abitur”, school-leaving exam, followed by studies of economics at Johann Wolfgang Goethe University in Frankfurt am Main (1983 – 1988). Subsequently, assistant lecturer at Johann Wolfgang Goethe University as well as advisor and lecturer on the design and implementation of European Professional Training in the context of the activities of the European Social Fund (1988 -1995). During this time, Research Fellow at Columbia University in New York (1990) and DAAD Visiting Professor of Economics at Karl Marx University in Leipzig (WS 1990/1991). Doctorate: “On the Economics of the Emergence of Technologies” (1993). Subsequently, head of the “Gesellschaft” unit at VDI/VDE-IT in Teltow (1995 – 1999). He was Managing Dean and Professor for Innovation Mangament of the Frankfurt School of Finance & Management in Frankfurt am Main between August 1999 and July 2009. Starting in August 2009 he is Professor for Innovation management at the Hochschule RheinMain. Besides that he has agreed a Honorary Professorship for Innovation Management at Frankfurt School. 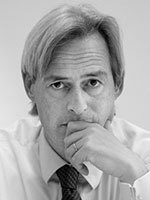 He has taken the position of a Scientific Advisor for Technopolis Deutschland GmbH, a subsidiary of Technopolis Group Ltd. Prof. Dr. Thomas Heimer is member of the Advisory Council “go-cluster“ of the Federal Ministry of Economics and Energy (BMWi) and chair of the Accreditation Commission of the Foundation for International Business Administration Accreditation (FIBAA). He belongs to the board of the Carolinum Foundation. Thomas Heimer recently conducted a meta-evaluation of the European cluster policy and has been engaged in a study on Smart Home technology. 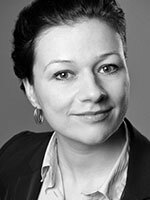 Kathrin Enenkel works as a consultant in the Frankfurt office of Technopolis Group. She is interested in innovation policies, regional economics, and employment issues on a local, national and European level. Following her Bachelor in Economics and Political Science at the University of Göttingen, she obtained a Master’s degree in Sociology and Demography from Pompeu Fabra in Barcelona as well as a Master’s degree in European Economic Studies from the College of Europe in Bruges. 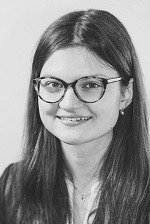 Kathrin has hands on experience with various quantitative and qualitative research methods such as focus groups, surveys and expert interviews. During her studies she worked on several quantitative research projects and attended classes in advanced econometrics. Prior to joining Technopolis Group, Kathrin worked for Prognos AG in Berlin. During this time, she worked as a research assistant in the department “Economy, Region and Innovation” and was mainly involved in ex-post evaluations for DG Regio for instance assessing the support to large enterprises by ERDF. Before that, she worked for the Chair of Economic Policy and SME-Research at Georg-August-University Göttingen and interned at the German Embassy in Macedonia, the Israeli-German Chamber of Industry & Commerce in Tel Aviv and the European Parliament in Brussels. Kathrin is fluent in German and English, has advanced knowledge of French and basic knowledge of Spanish. Fiona Merkl is a consultant in the German office of the Technopolis Group in Frankfurt. She is experienced in a range of methods such as case studies, interviews, desk research, literature review, and statistical analysis. Prior to joining Technopolis Group, Ms. Merkl worked as a student assistant at the WZB Berlin Social Science Center and the Free University of Berlin supporting academic research and teaching. She has also completed a traineeship at the EU Commission where she analysed evaluations regarding rural development. Ms. Merkl obtained her Bachelors degree in European Studies from Maastricht University. During the Bachelors programme she spent an exchange semester at Sciences Po in Paris. She obtained her Masters degree in International Relations in the joint degree programme of Free University of Berlin, Humboldt University of Berlin and University of Potsdam. Ms.Merkl is fluent in German and English and has advanced knowledge of French and Dutch.